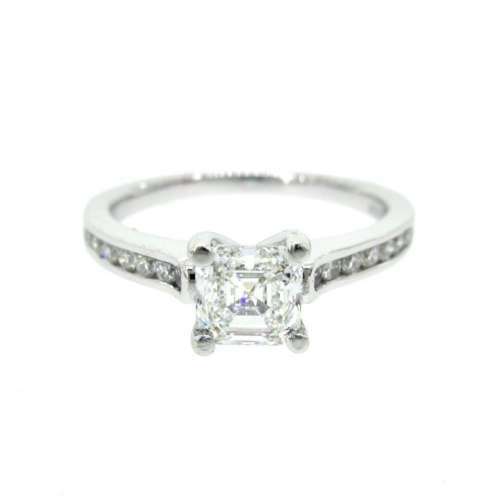 A simple, classic design diamond solitaire ring. A single diamond of .50ct set with six claws on a platinum band that gently tapers towards the setting. Set in platinum. Pre-owned.